As companies gear up for the 2015 Consumer Electronics Show (CES) Photography giant Kodak is not being left behind. The company in conjunction with mobile device manufacturer Bullitt Group, is set to mark its entry into the smartphone world with the launch of its new Android smartphone during the January 2015 event. It says the the range of smartphones and tablets are aimed at – but not exclusively for – consumers who want a high-end experience but aren’t always as comfortable using increasingly complicated mobile devices as they would like to be. They will also come pre-loaded with bespoke image capture, management and sharing features to offer a rich user experience. “Kodak is one of the world’s most recognisable brands. It is trusted by consumers as a marque of quality and innovation,” Oliver Schulte, CEO Bullitt Mobile said. Unlike other phones aimed at this target audience, Kodak says the KODAK Mobile Device range will not compromise on design and user experience. With as much focus on design as well as usability, the range will stand out in a market segment that is currently under-served. Eileen Murphy, VP Brand Licensing, Kodak sais they were excited to be entering the mobile handset market with the Bullitt Group. 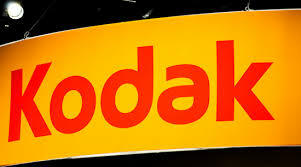 Kodak says there will be further product announcements across the second half of 2015 including a 4G handset, a tablet and a connected camera.